The bed frame is finished in Bonded Leather with a matt finish and the legs are made of the highest quality fir wood. The bed provides a modern feel with its striped headboard & footboard. It is the ultimate in luxury and comfort. This bed is designed to accommodate a 26 – 32 inch television. In addition to this technological breakthrough, the grand design speaks for itself. The Majestic TV bed comes in a range of wonderful colours and sizes so will fit in most rooms and complement any colour scheme. 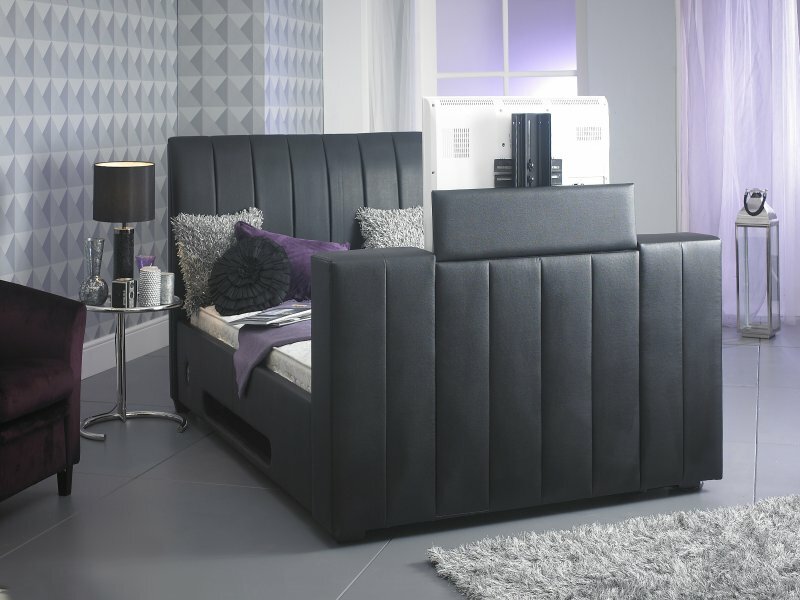 Look at the stately headboard, look at the magnificent foot of the bed, and look at that leather. 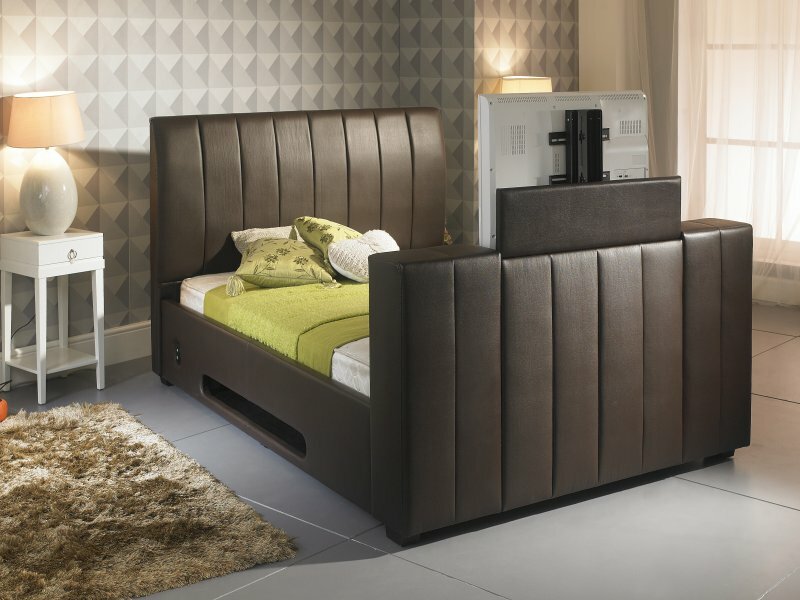 This fantastic TV Bed is available in – Brown, Black, Ivory & White. This fantastic TV Bed also offers a variety of mattresses such as: Others also available please check out mattress section. Luxury pocket sprung mattress-A thousand individual pocket springs offer the ultimate in comfort. Luxury allows you to breath easily with its hypo-allergenic fillings ensuring a restful night’s sleep. With air vents, durable flag stitched handles to assist you when turning the mattress and two rows of stimulated side stitching, producing a firm support edge to the mattress thus prompting a longer lifetime. 7-10 working days FREE delivery.